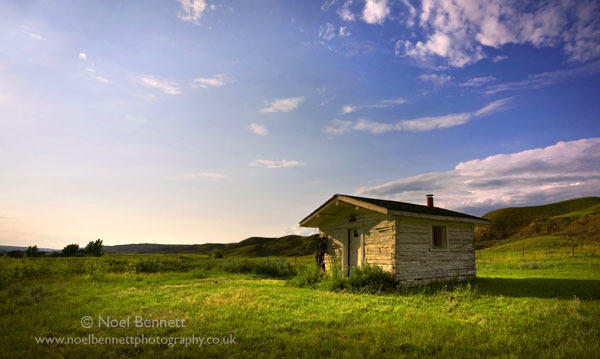 Noel Bennett Photography: Old Cabin at Sunset, Dorothy. Old Cabin at Sunset, Dorothy. It was late when we arrived. The sun was warm and low in the sky. My cousin Martin and I (both photographers) were like kids in a sweet shop. I will always remember the many insect bites received that evening! f/14 • 1/160sec • ISO125 • focal length 22mm • tripod and running shoes!